Ok, so there are a few things I actually love about the house. I try to avert my eyes from the brown smears in the bathroom and the little "chocolate sprinkles" (copyright Mr. Limestone) that the resident mice have left in the basement kitchen to see the good things. The plan is to play up the good with the renovation. I love this doorknob. In fact, I love the door too. Not impressed? Thats okay. Its not something most people would make a financial commitment on. I know, I have issues. But its one of those things that just struck me and gave me a picture of what the house could be like after some blood sweat and tears go into it. Its one hot old lady of a doorknob to me. Hopefully the house (and we) will live up to her expectations. looking forward to seeing what you guys do to the place! what will you do to the doorknobs? is there a way of restoring them? good luck on the closing! Scrappy - Im going to post about it now but you can boil the paint right off those doorknobs. They come out great!  Mr & Mrs Limestone, I just want to wish you ALL the best! You know I adore you guys and am so looking forward to seeing the amazing transformation you will make to this lovely tattered old lady. The house, that is. OK I would TOTALLY buy a house based on a door and doorknob. In fact, I did! The crazy skeleton key that opens our front door did me in. ps I love the fact that apparently Bill at Enon Hall is in love with your house too :) He is so the man. what a fun project. You're doing an amazing job, and I think a doorknob is a perfect gauge to a homes potential.